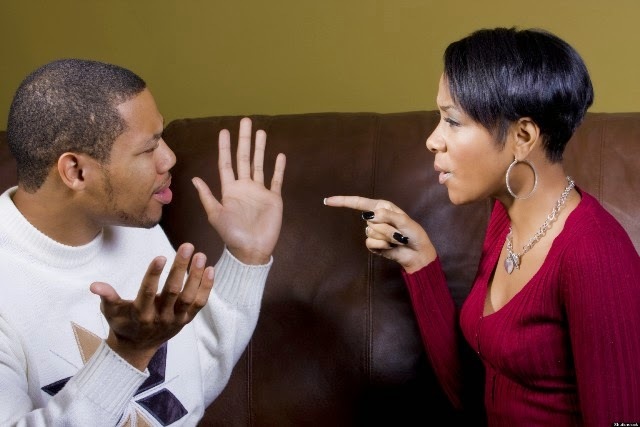 I was recently reminded of one of the hidden causes of marital disharmony – parental interference in marriages. Parents are destroying their children’s marriages. Many parents fail to let go when a child gets married. A newly wedded lady once told me her marriage was almost collapsing because her husband was “married” to his mother, she was the second wife. Yes we have men who don’t grow up when they get married. They are not weaned off from their mothers. Those men who stay close to their parents tend to spend more of their quality time with their mother, more than their wife and children. Each time the man is free, he goes to his mother and they spend hours discussing issues. At times one wonders what they will be discussing. I could be wrong, but sometimes they can even be discussing the wife. For those who drive, less the business time, when the family is driving to work and school, the man’s mother spends more time in the car than the wife. She is always seated comfortably in the traditional wife’s front seat and being taken around the city. The mother stays in the high density areas where the man was bred and the man is now staying elsewhere. Every Sunday, the man has to pick his mother and take her to and from Church. In the afternoon he will pick her again and take her to social meetings including burial societies and wait for her there. This is Sunday for him. On Saturdays, the man takes his mother to visit her relatives and attend memorial services and visit the sick in and out of hospital. Now, it might appear like I am exaggerating but these are real life issues. I am in no way saying men should dump their mothers and not have them in their cars, but with all due respect gentlemen – if you are dedicating all your quality time to your mother, can we really say you are married? Is that fair on the part of the wife and children? There are certain things we must teach our mothers when we get married. They need to know things have changed slightly. Our wives are not like our mothers. Most of our mothers were housewives. Those were the days then, but today’s wife is also a bread winner hence the need to remind our mothers of certain things that have come from these changes. Our mothers have to learn that when their son gets married – they become one flesh with the wife – just as the scriptures say. These people must be respected as a couple. Some of our mothers are too forward, greedy and some are selfish. Some have this idea that: “This is my son’s house, my son’s car, my son’s money . . .” Their behaviour is informed by the selfish attitude “it’s my son’s money… I must enjoy my sweat” and in the process the wife is disrespected by the mother and the marriage suffers. Do our mothers know that unlike them, today almost everything a couple has its combined effort? Do our mothers know that some men are driving cars that were bought by their wives? Do our mothers know that some of the houses they claim were bought or literary built by the wife? Because it’s her son’s house, I heard this other lady say whenever they want to buy furniture the man has to consult his mother, she even chooses the furniture. When they want to send a child to school, the man consults the mother and it’s the mother who tells them it’s time to have another baby. The man cannot do a single thing without his mother and this is a married man with a beard and looks very educated in spectacles. The man doesn’t question a single thing the mother does or says. When the mother wants anything they communicate directly with their son, the wife is not involved. With technology, she just calls the son on his mobile or sends a WhatsApp message. You find a man lies to his wife that he is going into town for a car wash and later on he hooks up with his mother. You later find them shopping, pushing two trolleys, one for food and the other for none food items. The wife is not in the picture. Honestly, these are acts of misconduct by the father of the house. It is necessary for men to create an enabling environment for mothers to be close to their wives. We must teach our mothers that when they need some major assistance they must contact our wives, thus the ideal channel in a marriage. The world has changed. The money in most households is now managed jointly and in some instances, the wife brings more money than the man. Gone are the days when it was only the father who worked and his salary was not known by the wife. We know traditionally most of our wives are not in good books with our mothers – it’s a natural conflict, as old as the Bible. Now the men even make it worse by being too involved with their mothers at the expense of the wife. When we are always on our mother’s door steps we don’t grow. This is why some of our mothers always see us as small boys and will call us by our childhood nicknames in the presence of our children.